Dr Martens are really on trend at the minute. The first I heard about Dr Martens were when my sister Denise had her french exchange to stay for 2 weeks. We are going back to when I was 8 maybe. So 20 years ago. Denise’s French exchange really wanted a pair. Well I recently got this pair of 1460 Pascal Dr Martens and I love them. I am lucky in the sense that I have small feet so fit in children’s still but they are the same as adults, except mine have zips on the side. 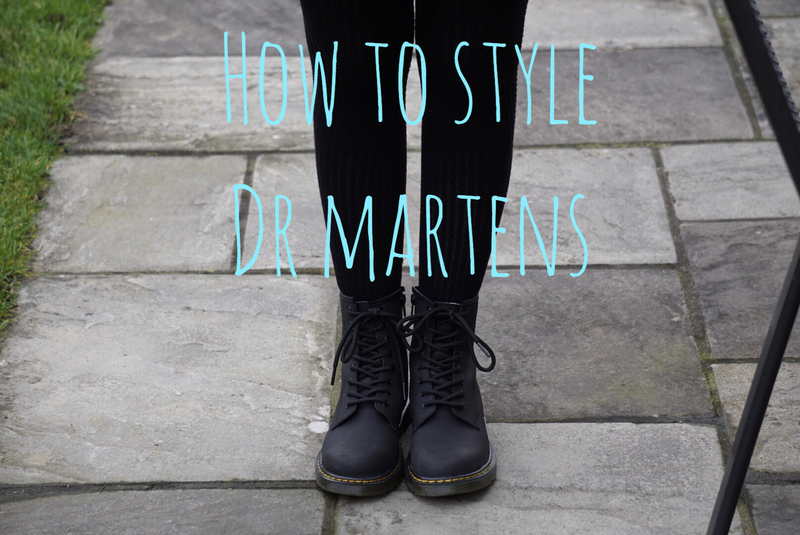 As Dr Martens are very on trend at the minute I thought I would share how I style and wear them. 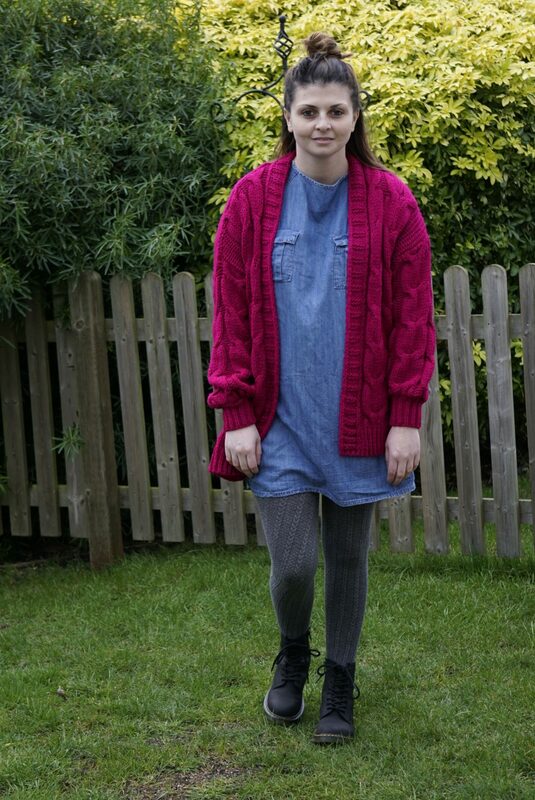 So for my first style I have picked my cat knee jeans, a pink Jack Wills sweatshirt and my Dr Martens. This is a girly casual look I guess. 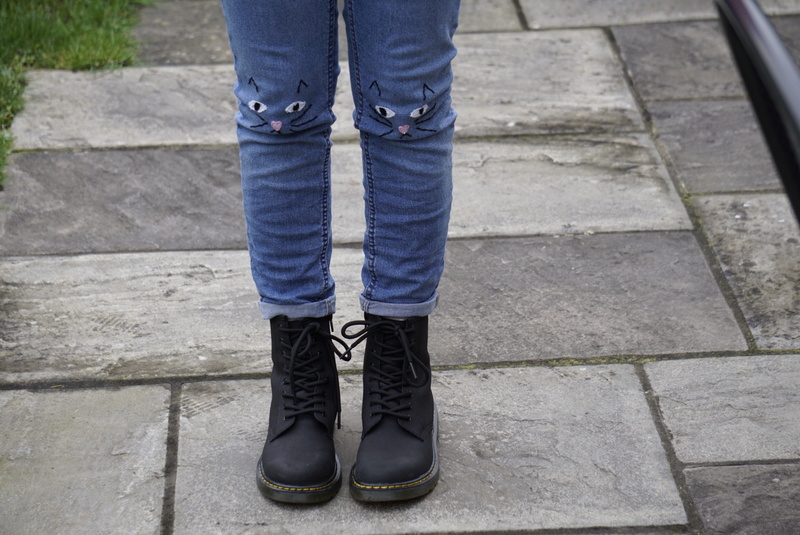 I love my cat knee jeans but I normally wear them in the spring/summer because of the length, but with my Dr Martens I can now wear them in the winter too. 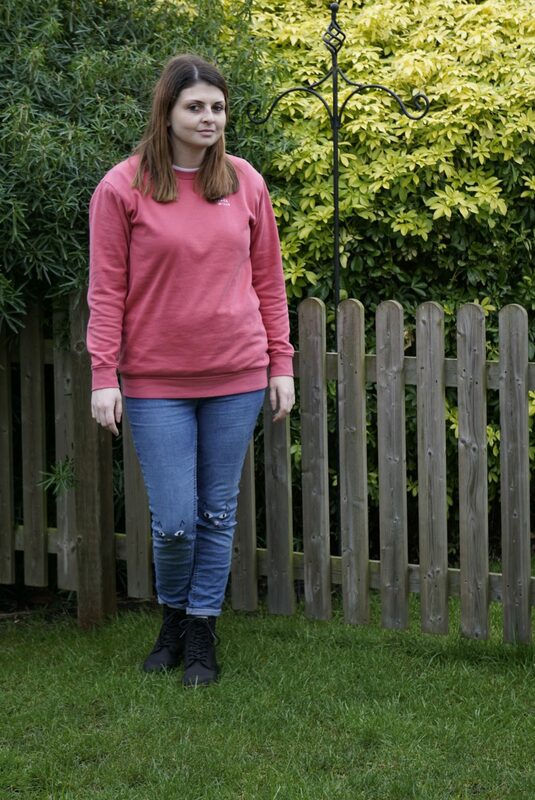 I love the brightness of the sweatshirt and the childish/adult jeans then my trendy Dr Martens. I think this outfit all shouldn’t go but goes together really well. Next up I would say is a style that is a typical Dr Martens style or was when they first on trend way back when. I am wearing my *Joni jeans and a black and mustard check shirt undone with a white t-shirt. I am loving the checked shirts at the minute. I actually found one I loved and would go so well with this outfit in H&M menswear. To be honest I still may buy it but tailor it more to my shape. This is one I wasn’t sure of to be honest but actually once I had put it on and altogether I love this look. You can totally be a girly girl and wear Dr Martens. I have a denim dress on with grey patterned tights on. I love my cosy knitted cardigan. It was so windy when taking these that I just chucked my hair into a half up messy bun. This really adds to the style though. I really think you’d stand out in this but in a good way. This is a style I totally can rock at work. I am allowed to wear whatever I would like to work and I think even if you were to dress smarter for work you could totally wear this! 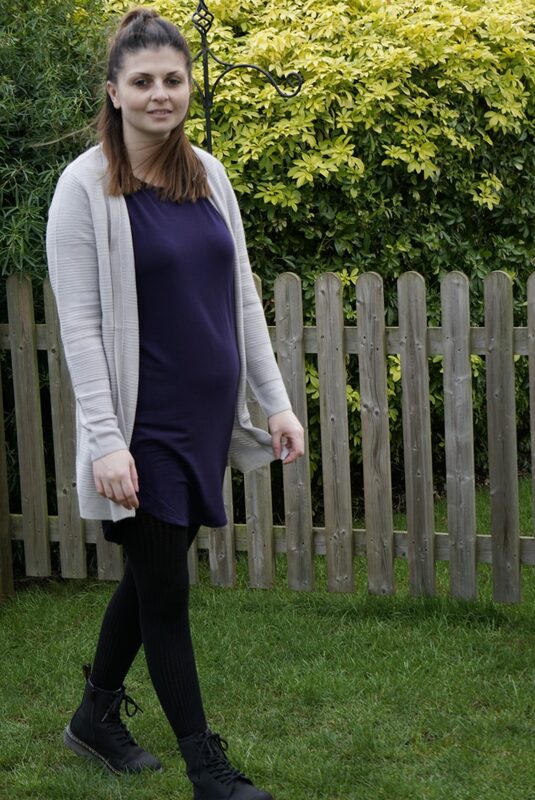 I am wearing a blue dress, black tights and grey cardigan. I love the cardigan and how it would look good with my cat knee jeans as well as many other outfits. I was even thinking of wearing this to a meeting in a couple of weeks. I love this outfit and by adding the tartan leggings really adds something to this outfit. I already get lots of compliments on my peplum jumper when I wear it and its so comfortable. I love this as a no effort, effort kind of outfit. I am all for that these days. As I get cold most days I have added my black knitted cardigan that I got off my local market. Yes girls go to your local market, half price and the shop next to the stall had the same clothes as the stall. Worth it to get cheaper, good quality clothes. For my final outfit I am sharing, I am wearing my *black denim pinafore. Pinafores are a must for me. Black tights and a pinkish purple roll neck t-shirt. 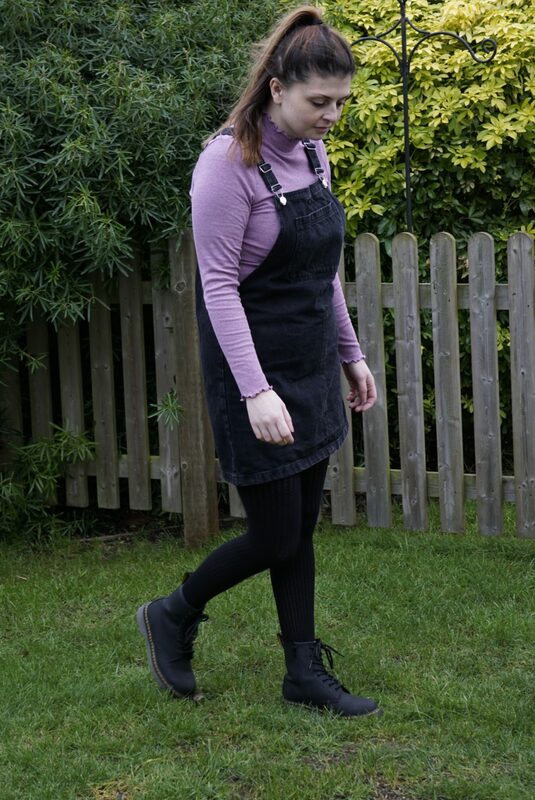 I love this and how a pinafore just really suits Dr Martens. I don’t know why but I love how this simply just ties together to look perfect. 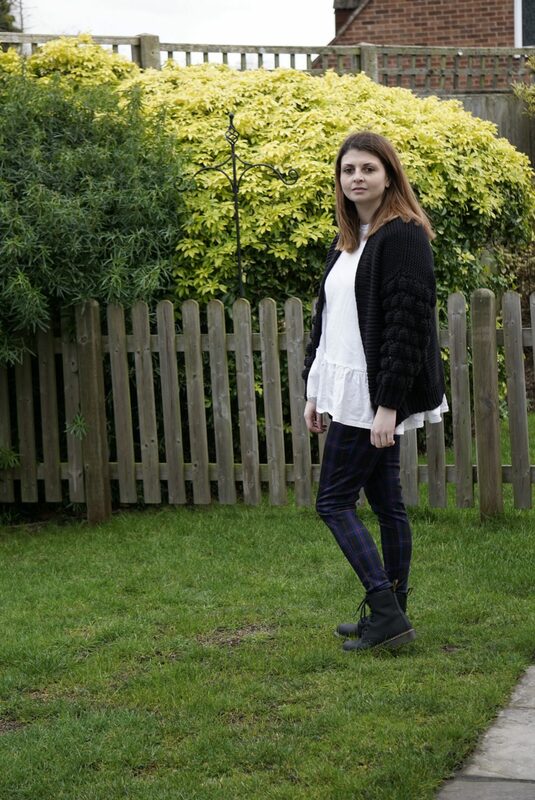 What is your favourite outfit/style I have picked to share with you? 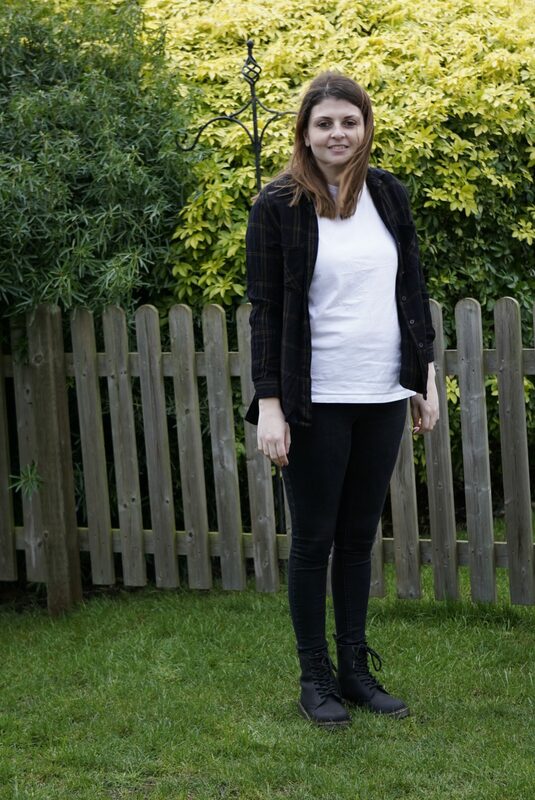 How do you wear your Dr Martens?